Public Health – Leeds City Council and Leeds Community Foundation are working in partnership to fund local third sector community initiatives aimed at men with high risk of suicide. We want to support social activities for men determined by local men themselves, and to provide outreach work with targeted communities in order to reduce social isolation. The focus of this programme is on areas of need where activities for socially isolated men are lacking. The targeted areas are Inner South, Inner West and Inner East Leeds, as these are communities with the highest suicide rates involving socially isolated men. The programme will initially run for three years with over £70,000 distributed annually through both small grants of up to £10,000 and some large grants of up to £25,000. Suicide Prevention is a key public mental health priority in Leeds. There is a long-standing, multi-agency strategic Suicide Prevention group, and the Leeds Suicide Audit 2011-2013 is nationally recognised as best practice. Leeds has also been cited as a best practice case study for investing in ‘postvention’ (i.e. counselling and other social care given after the experience of a traumatic event, especially to those directly affected by a suicide bereavement). This service has been well evaluated and is contributing to global evidence of effective peer-led interventions. However, until now the city has not directly funded activity with men who are Leeds’s highest at risk group. The Leeds audit published in 2016 found that men are almost five times more likely to end their own life than women. This is higher than the national average of three to one. The rate of suicide in men has increased since the previous audit, whilst the rate in women had not. White British males were over twice as likely to end their life by suicide than BME men. 55% of the audit population lived in the most deprived 40% of the city. Nearly 70 % of the audit population were single, divorced or separated compared to 28 % who were married, cohabitating or in a civil partnership. A theme of social isolation emerges from these findings. The areas with the highest number of suicides are slightly west and south of the city centre, making a band across LS13, LS12, LS11, LS10 and LS9. Based on these findings, we are keen to fund activities working with men in these areas. have been operating for two financial years or more and have an income of over £10,000 in the most recent financial year. Groups with less than two years’ experience or an income under £10,000 in the most recent year would not be eligible for a large grant, but may be able to receive some support to build capacity and run a small grant pilot project (INSERT LINK). Applications from organisations working in partnership, including with businesses and statutory partners, where the lead applicant is a third sector organisation are welcomed. Larger grants of between £10,000 and £25,000 are available for 12-24 month projects that will have a wide reach or potentially more significant impact than can be achieved through a smaller grant. Grants will be made in staged payments over the 12-24 month period and can contribute to expanding or developing existing activity. Whilst the grant can be used to part-fund a wide range of activities, we like to see the impact our support is having. Accordingly, we prefer for our grant to equal at least 50% of the total cost of the activity or project within the criteria specified below. Only one application per organisation can be considered. Communities where men are known to be at greater risk of suicide and social isolation i.e. Inner South, Inner West and Inner East Leeds (LS13, LS12, LS11, LS10 and LS9 postcodes). The population group demographics and identified risk factors highlighted in the Leeds 2016 audit. Developing social activities for men determined by local men themselves or providing outreach work with targeted communities in order to reduce social isolation for men with higher risk of suicide in areas of need with fewer activities for socially isolated men. Local community engagement and participation in the development and delivery of successful projects. The application process will ask for details of how interested groups would achieve this. Local organisations delivering targeted evidence-based interventions in line with the Leeds Suicide Prevention Action Plan. Priority will be given to organisations already working in Leeds with a good understanding of local communities and the Leeds audit. Applicants will need to demonstrate that they are either delivering new activity or increasing the reach of existing activity in relation to suicide prevention work with local communities. Care will need to be taken to ensure the grants are not used to fund services that should be a statutory responsibility, i.e. there needs to be some element of additionality in their work. Funding will include evaluating the projects. Impact will be measured both in quantitative terms (using agreed indicators), as well as the social impact of projects in the local context. The potential issues to be tackled are wide-ranging so we would suggest consideration is given, initially, to focusing on a few key issues or areas of activity. Activities might include: supporting engagement and empowerment of local people; encouraging innovation to support decision making and choice; widening access to local services that reduce the risk of suicide; capacity building to help emerging groups develop; use of new technologies and innovative ways of connecting with socially isolated men. The fund opens on 31 January 2019 and the deadline for Expressions of Interest is 12 noon on Thursday 28 February 2019. Funding will be awarded in May 2019. To apply you need to complete an Expression of Interest online application form available at the end of this document. This enables you to develop your idea away from the full application process. It also means we can give feedback and input at the earliest stages. We will treat this information confidentially and once this has been reviewed we will contact you to give feedback. To start filling in the Expression of Interest online form, please follow the link at the end of this document. We strongly suggest you submit your Expression of Interest at your earliest opportunity. Incomplete applications will not be considered. What happens after you’ve submitted your Expression of Interest? We will acknowledge the receipt of your Expression of Interest within five working days. We will then assess it and provide written feedback as soon as is possible. If the idea presented in your Expression of Interest fits with our programme, we will invite you to submit a full application and will send you a link for this directly to you. At this stage, you will need to submit your governance document, latest accounts, list of board members/management committee, unless you have already submitted these documents to Leeds Community Foundation within the last 12 months. The application and additional documents will need to be submitted by Thursday 21 March 2019. Once submitted, your full application will be assessed by the Leeds Community Foundation grants team. We may need to contact you and your referee during this time. Your application will then be submitted to an awards panel for further consideration. This panel will be made up of people with knowledge and expertise around the men and suicide agenda as well as community delivery. We’ll tell you their decision as soon as possible after they’ve met. If you are successful, the grant letter/e-mail will include any additional conditions set by the panel and/or the grant payment and a grant funding agreement you will need to sign. The grant must be spent within 12-24 months of the date of our letter confirming the grant. At the end of the grant, you will have to complete an end of grant report telling us how the grant has been spent and what was achieved. The deadline for doing so will be specified in your offer letter. Please note that failure to complete an end of grant report will exclude your organisation from applying to future grants schemes. If your application is successful, you will be required to credit support from Leeds City Council and Leeds Community Foundation, on all materials related to the funded work. Successful projects will be required to be available for a potential monitoring visit from funders. TCV Hollybush Conservation Centre (small grant) – “A Free Man on Sunday”, local outdoor and walking activities targeting men for men who feel lonely at weekends living in Inner South, Inner West, and Inner East Leeds. 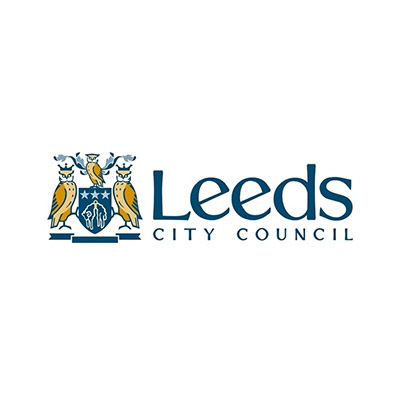 BARCA Leeds (small grant) are also to receive funding to develop community activity to support networks and activities for men living in LS13 – to be confirmed. Round 3 will launch in Spring 2020. Successful grantees from Round 1 and Round 2 will be eligible to apply for continuation funding in Round 3, subject to their project delivery being successful and outcomes for men evidenced. Click the button on the left hand side of this page to submit and Expression of Interest. If you would like further information on this round, future themes, the required monitoring or any other aspect of the programme, please contact Leeds Community Foundation at First Floor, 51a St Paul’s Street, Leeds LS1 2TE, Telephone: 0113 242 2426, Email: grants@leedscf.org.uk.